(TibetanReview.net, Mar31’16) – The House of Representatives of the US state of Vermont had on Mar 10 adopted a resolution, encouraging the resumption of negotiations between China and representatives of His Holiness the Dalai Lama based on the Middle Way Approach of the Central Tibetan Administration, said a belated report posted on the exile Tibetan administration’s website Tibet.net Mar 29. 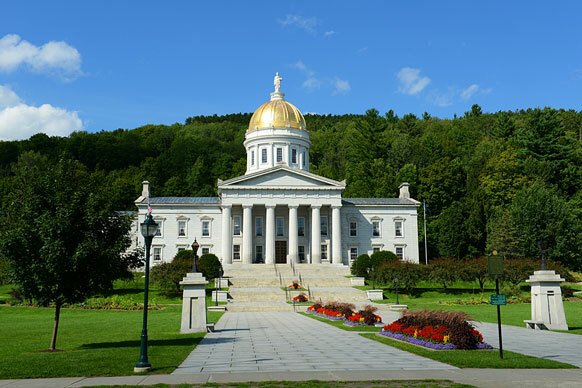 It was reported to have been sponsored by Rep Maida Townsend and supported by 39 other representatives. It supports US humanitarian assistance for Tibetan refugees and the acknowledgment of Tibet’s critical environmental significance. It also supports the US government making human rights a high priority in its relationship with the People’s Republic of China, including the rights of Tibetans and other non-Chinese people. Besides, the resolution supports programs that assist sustainable development and cultural traditions on the Tibetan plateau. 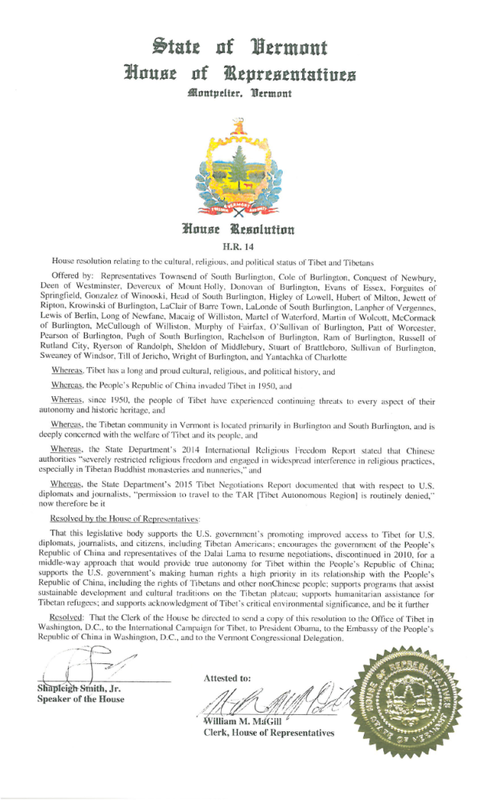 The resolution also expresses support for the US government’s efforts to promote improved access to Tibet for US diplomats, journalists, and citizens, including Tibetan Americans. Noting that Tibet had a long and proud cultural, religious, and political history, it said the People’s Republic of China invaded the country in 1950. Since then, it adds, the people of Tibet have experienced continuing threats to every aspect of their autonomy and historic heritage.